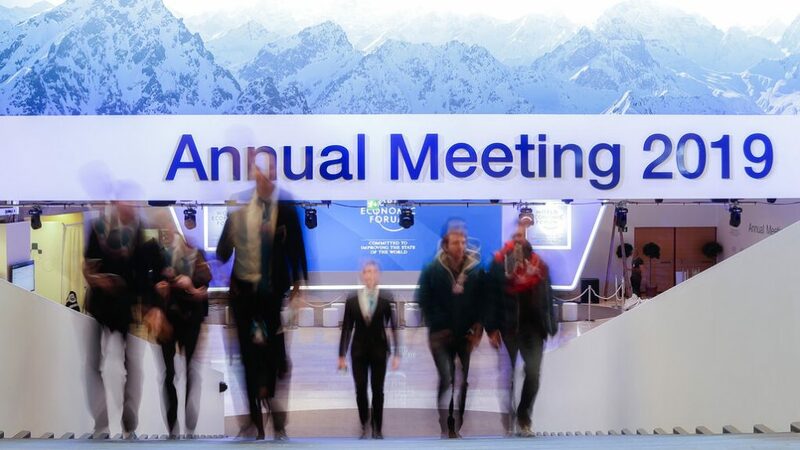 Davos, Day 1 — 11 km clocked and the World Economic Forum’s annual meeting hasn’t even begun yet! Arriving a day in advance is an unusual start for us. Ordinarily, we get to this power centre in a state of panic, after flying through the night and then driving almost two hours from Zurich to make it just in time for our shoots. Today was less frantic but equally punishing on the calves! Trudging through the snow and standing face to face with the cold — temperatures drop to between -7 to -17°C — is not for the faint-hearted. But we plod on. A large billboard of Prime Minister Narendra Modi pitching Digital India greets us as we make our way to the Congress centre, the hub of all activities for the week. The PM was a headliner at Davos last year along with US President Donald Trump. Both have given the forum a miss this year. Even finance minister Arun Jaitley dropped his plans for Davos. There is still uncertainty on the presence of senior ministers at the forum this year. Even the India Business Delegation is missing some of the Davos regulars, with both Rahul Bajaj and Baba Kalyani dropping out. That’s not all. Even Davos regular N Chandrababu Naidu, chief minister of Andhra Pradesh, is absent. But his state continues to scale up its presence, even taking over the space used for the much loved ‘Indian Adda’ run by the CII for years. Interestingly, neighbour and fierce competitor, Telangana has set up shop right across the street from the AP lounge. Both states are heavily advertising their accomplishments in the Department of Industrial Policy and Promotion’s (DIPP) Ease of Doing Business rankings. A third entrant in the battle of the states this year is Madhya Pradesh, with Davos veteran Kamal Nath making his debut as chief minister. As for new developments, this time India’s oil and gas majors from ONGC to GAIL are present in large numbers. While the DIPP will be spearheading the government’s outreach, Niti Aayog CEO Amitabh Kant will also lend his support. A walk down the Promenade —Davos' high street — showcases India’s top tech brands from TCS to Wipro to Infosys. Globalisation and the challenges of free trade will dominate the conversation here as the world looks at an uncertain 2019 with the US government shutdown continuing, Brexit in suspended animation and the Chinese economy slowing down.